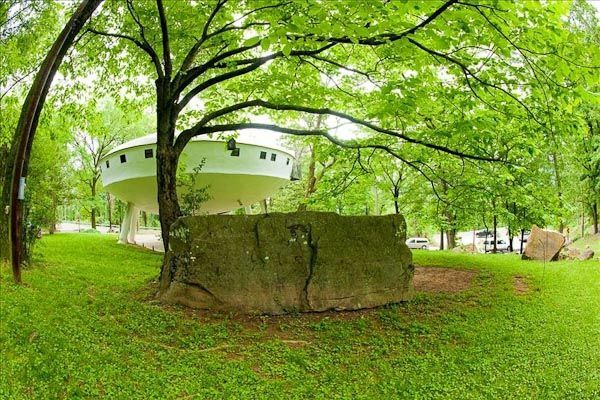 Located five miles from Chattanooga on the side of Signal Mountain you'll find a unique alternative to a standard hotel. 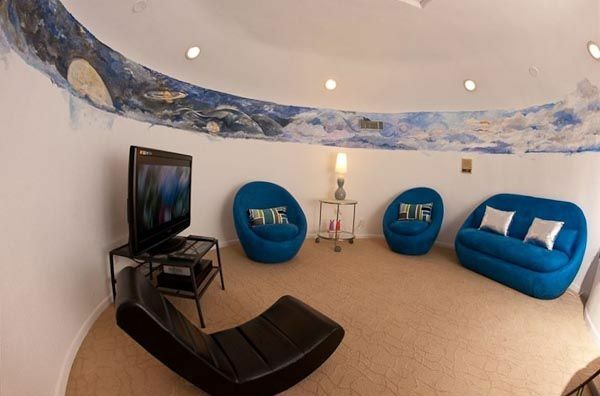 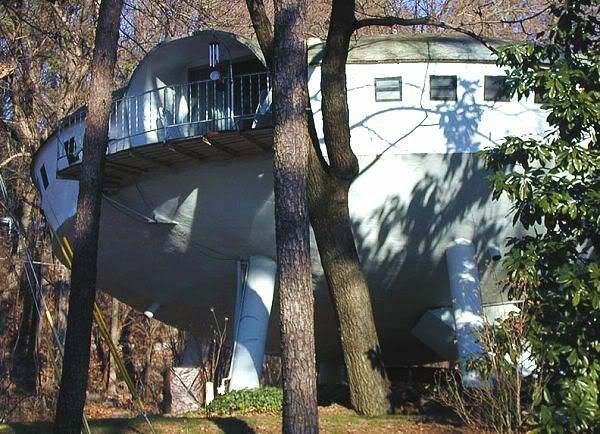 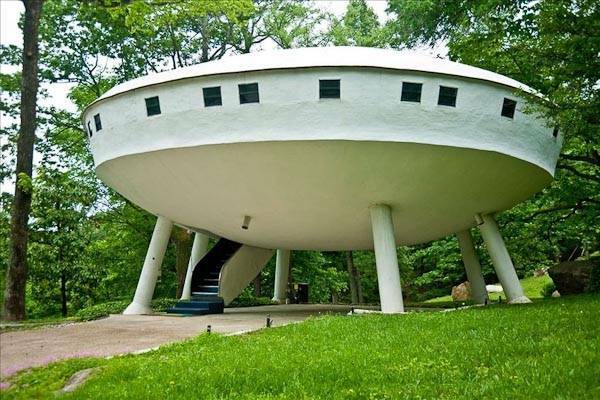 The Spaceship House was built in 1972 and used to be a private residence but now it is available to the public for accommodation. 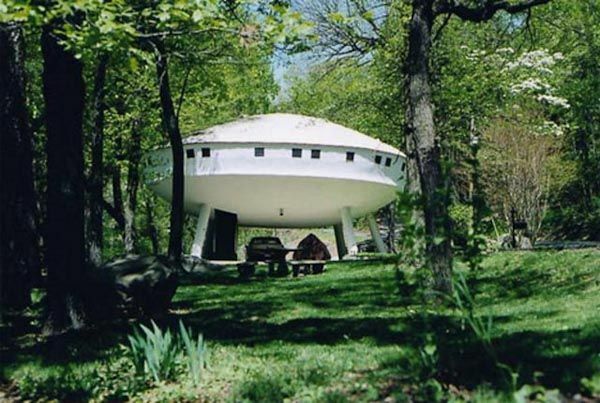 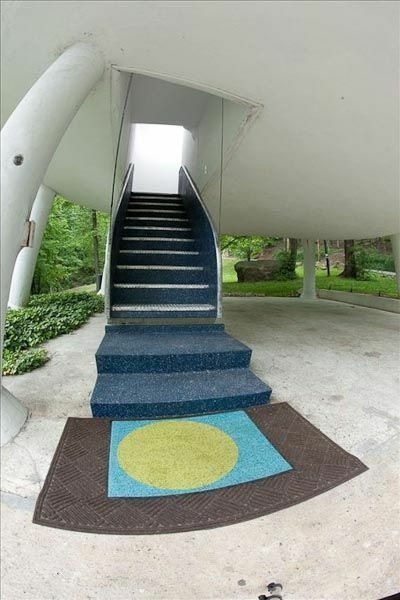 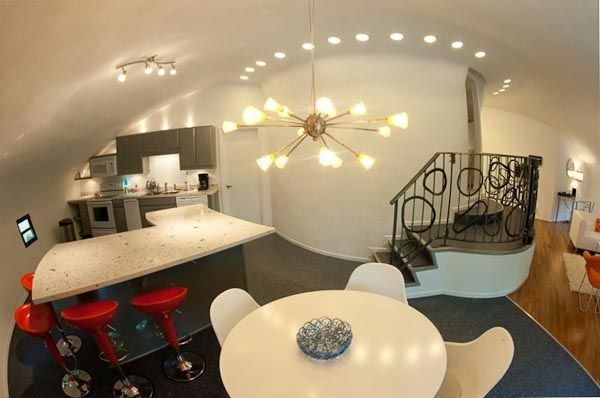 Newly restored and updated, the spaceship house offers a unique retro-futurist flair.